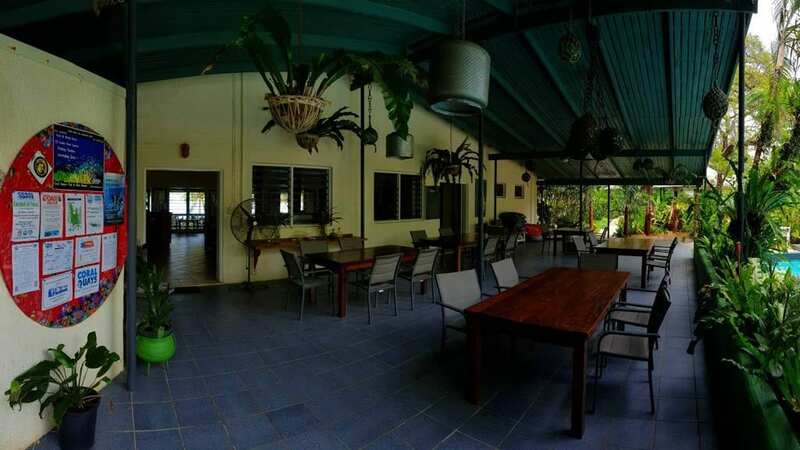 Coral Quays Fish & Dive Resort is an SDI & TDI Dive facility, offering everything from Introduction/Try dives up to Specialty and Technical diver training. 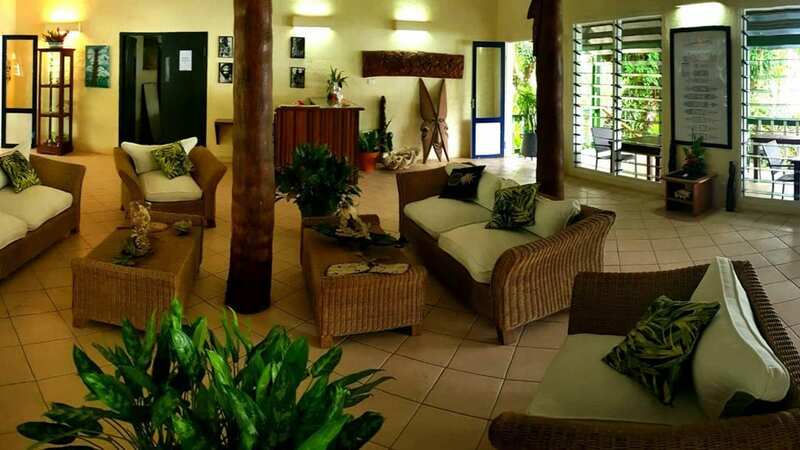 They offer all their scuba diving and training facilities to both in-house guests and divers staying at any of the other resorts around Santo. 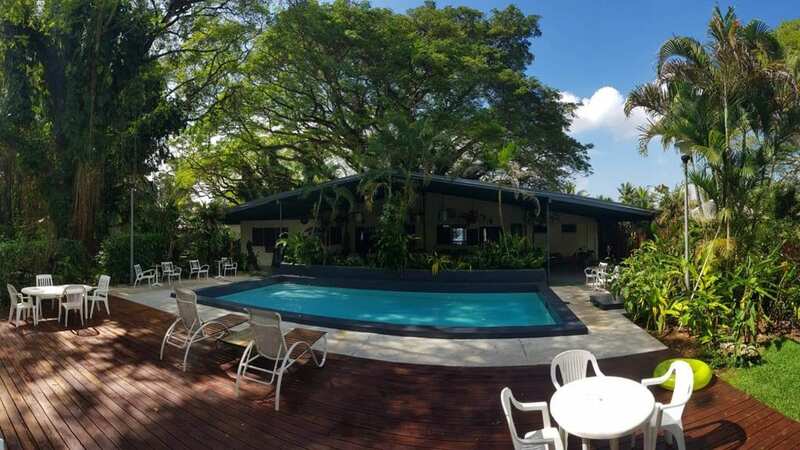 Coral Quays is set amongst magnificent rain trees boasting private bungalows, each with its own en-suite. 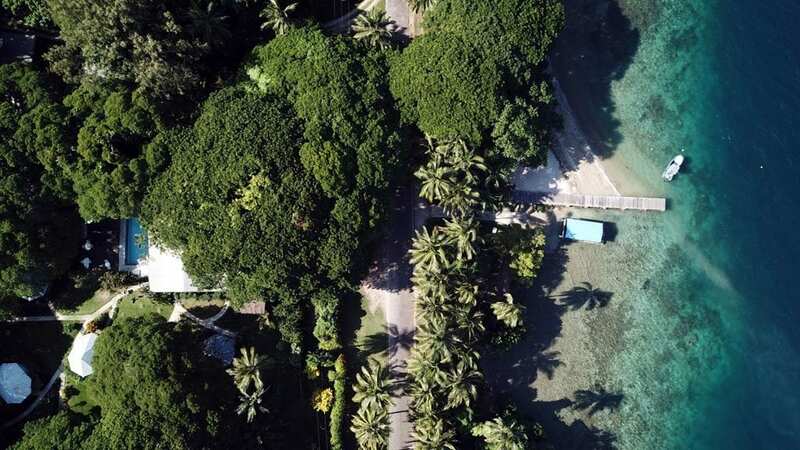 A private beach and jetty along with a house reef and adventure dive trail – perfect for novices and entry-level dive courses. 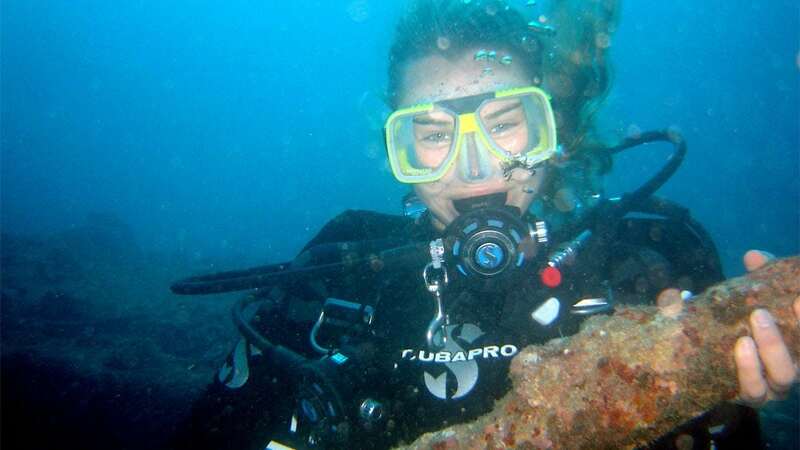 Specializing in safe, and fun diving on the SS President Coolidge, all their guides are equipped with twin manifold tanks and are technically trained with air, and mixed gas diving for customers’ safety and confidence. 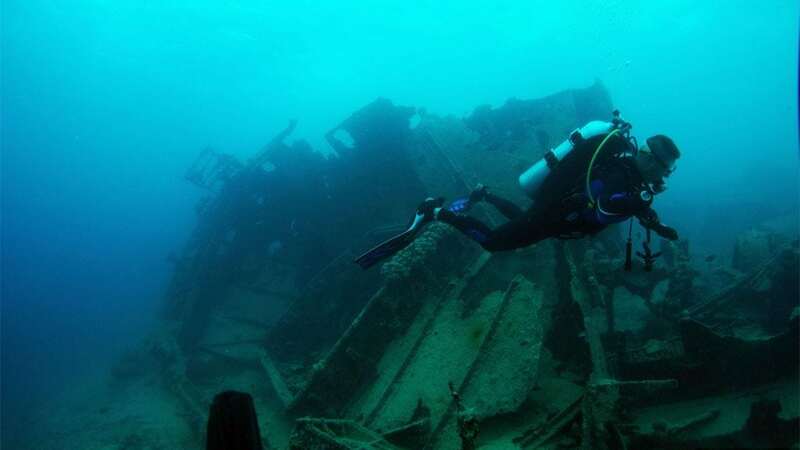 They are the only dive operator in Santo who offer both boat and shore access to the Coolidge. 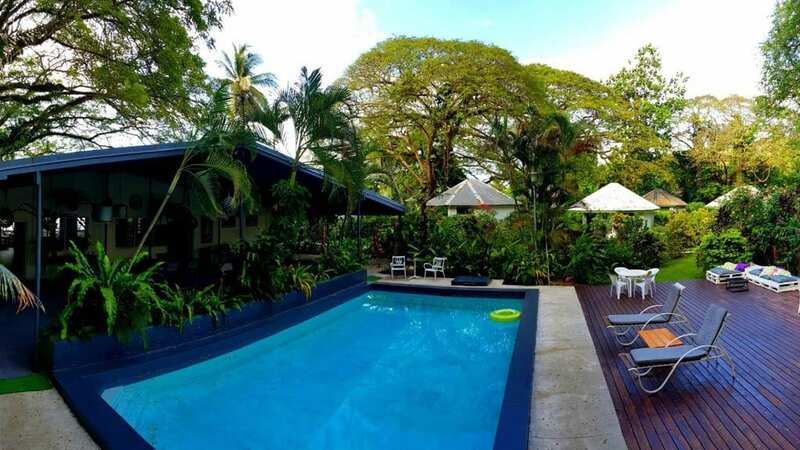 Guests staying at Coral Quays can experience an introductory dive in the pool and then dive off the private jetty or beach onto the house reef – making it an easy introduction to the underwater world. 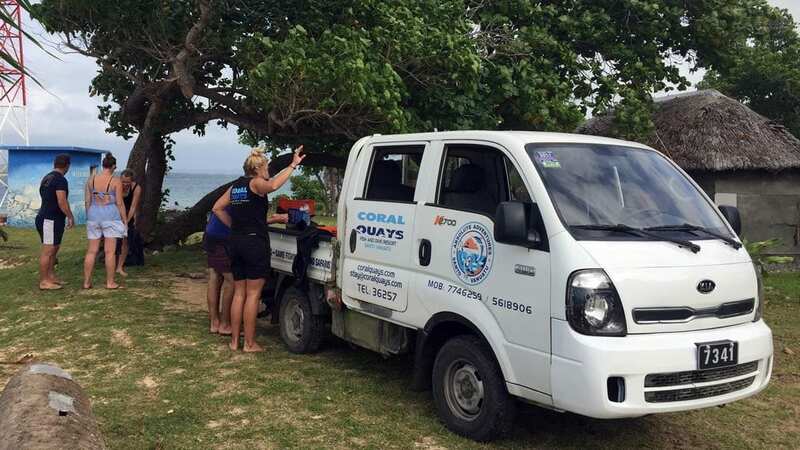 Coral Quays is the only operator to offer technical dive training on the SS President Coolidge and other dive sites, and they fully cater for technical and re-breather divers with oxygen, helium and sofnalime 797 carried in stock. 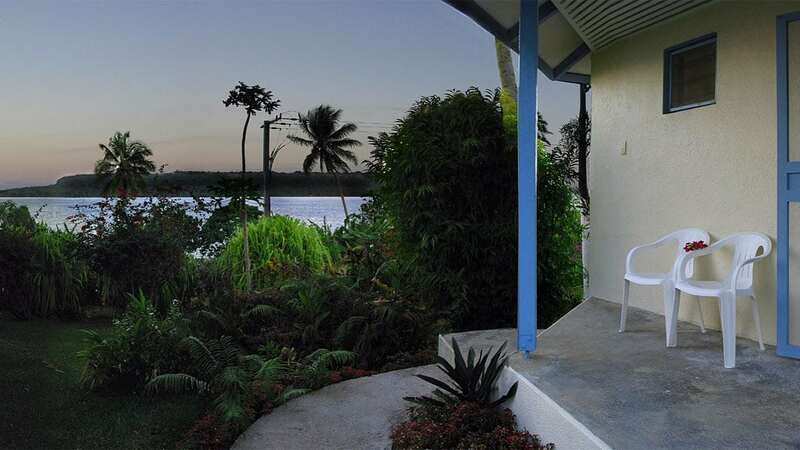 The bungalows are all set in a tropical garden setting, with magnificent views. There are two principal types: air-condition and fan-cooled. 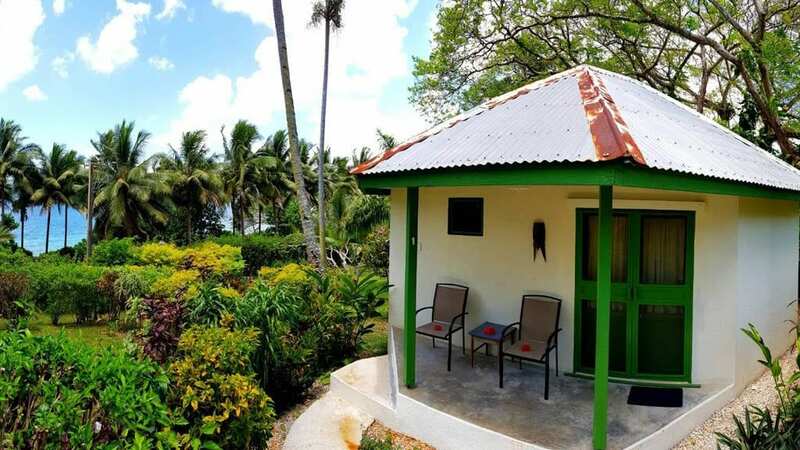 Each of the private bungalows is en-suite (with hot water), and has a wardrobe, bar fridge and tea & coffee making facilities. 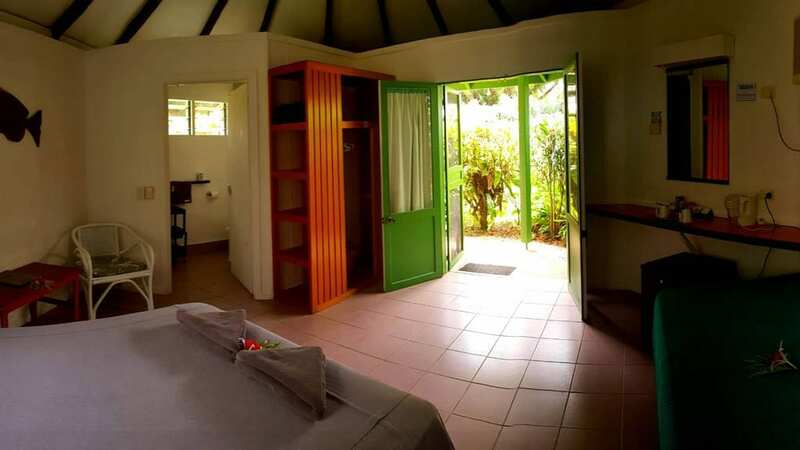 The normal configuration of the bungalows is one queen and one single bed, so they can be single, double or twin-shared. The single bed can also be replaced by a bunk-bed suitable for children. Children 2-11 stay free of charge. The Fan cooled bungalows can also be configured as triple-shares. 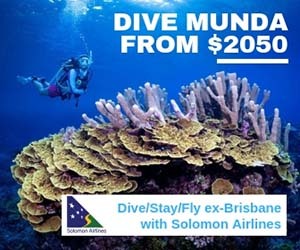 Pricing includes accommodation as specified, return airport transfers 5 dive days/2 tanks per day, tanks, weights, dive guide, Vanuatu Government taxes at 12.5%. WiFi is available free of charge in the centre of the resort: reception, restaurant and bar. Those requiring a high-speed connection should invest in a 3G SIM card. 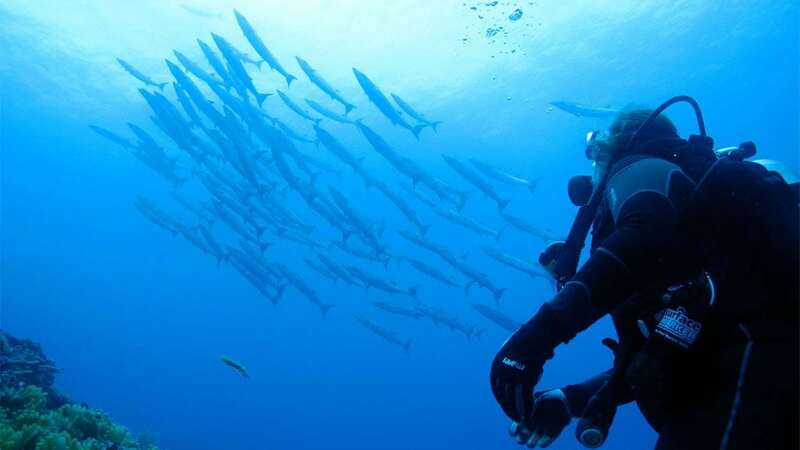 You can do two dives on the Coolidge (shore or boat) which entails a minimum 4-hour surface interval. 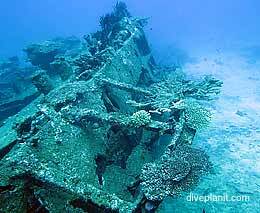 A double boat dive on reefs and other wrecks, or three dives in the day. 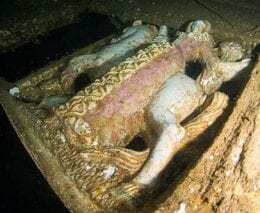 The triple dive consists of a shore dive on the Coolidge followed by a double boat dive at two other sites – Wreck or Reef – in the afternoon or three boat dives on reefs and other wrecks. 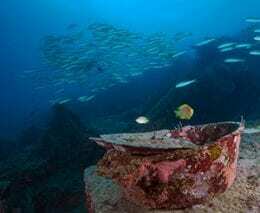 There is plenty to choose from with the USS Tucker and of course Million Dollar Point both being ‘must do’ dives. 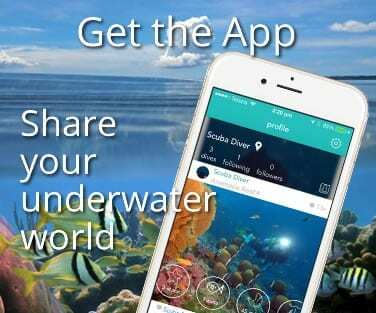 Reef dives include four dive sites exclusive to Absolute Adventures. 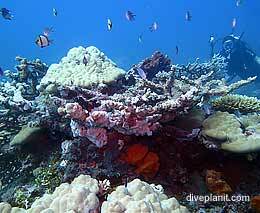 One of their guests’ favourites is Ratarata Reef which pops up 200-300m offshore rising from 45m to 3m. 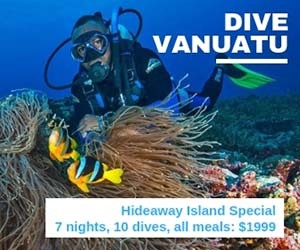 Frequented by schools of rainbow runners, barracuda’s, GT’s, trevally, green sea & hawksbill turtles, countless parrotfish and reef sharks, it is another dive not to be missed. 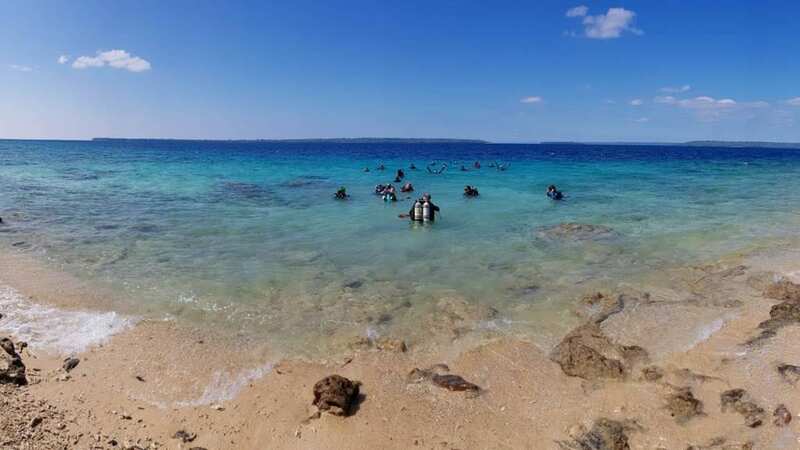 Other commonly dive reefs include two at Tutuba Island including Chails Reef with a good chance of seeing resident turtles and passing barracudas; and Cindy’s Reef, off Aore Island, which provides easy reef diving with good visibility. 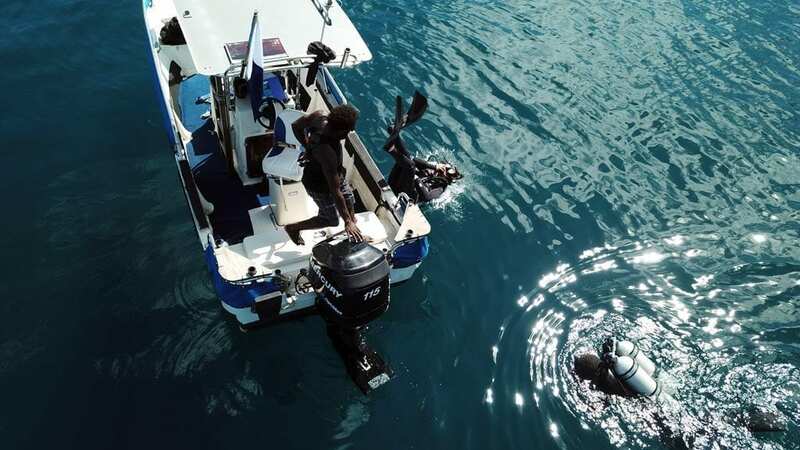 Coral Quays offers Freediving and snorkeling charters, as well as game, sport and spearfishing charters with multiple boat setup for fishing. 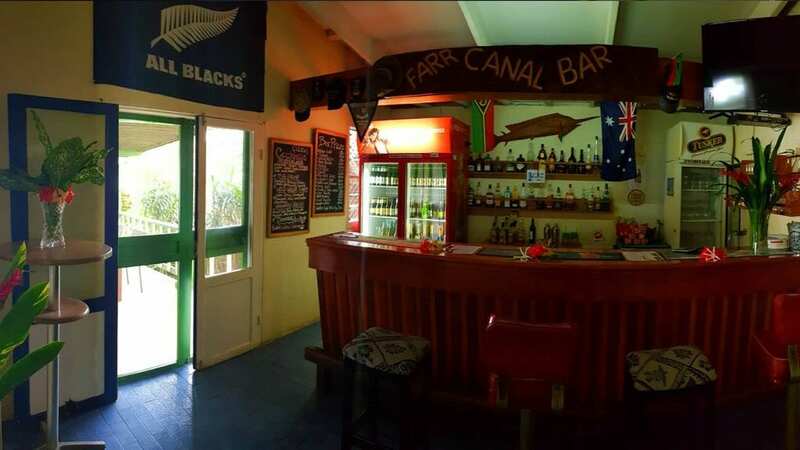 Coral Quays Fish & Dive Resort is absolutely the best choice if you want to learn to dive in Santo, or do technical diving on the SS President Coolidge.